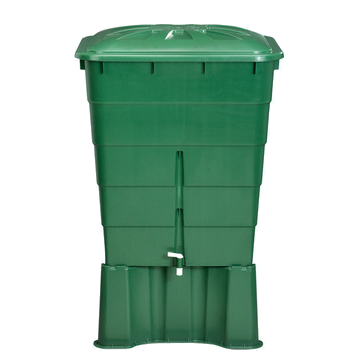 Graf Rectangular Rain Barrels | BARR Plastics Inc.
Use a Graf Speedy Diverter Kit (Circular Downspout) or a Graf Rapido Quattro Diverter Kit (Rectangular Downspout) for easy installation. Rain harvesting couldn’t be any easier with a Graf Rain Barrel from BARR . Barrels are nestable, saving space and costs while transporting multiple barrels.